I’m In A Book Club! When I was a kid, I loved reading. Sadly, as the world wide web rapidly began growing during my early college years, so the time I spent reading began to conversely wain. I’ve recently tried being more introspective and conscious of my limited free time by actually unplugging more often in hopes of making more time for what I used to love so much. So when a friend asked if anyone wanted to create a book club, I immediately raised my hand. Last Sunday we had our first club meeting, where I met and laughed with some wonderful other young women who were definitely smarter than me and so inspiring. 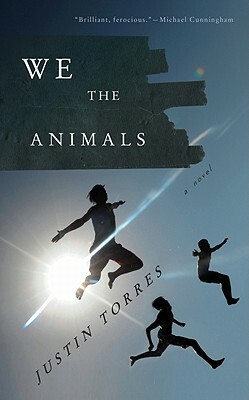 Our first book, We The Animals by Justin Torres, was a quick-read about a young boy growing up poor in the 70s with his family of three coming-of-age boys and extremely young parents trying to find their way through a rough life. What started out as a light story quickly turned quite dark and startling by the end. I won’t give anything away, but <spoiler alert! not really but kinda> it left me very much afraid for the vulnerability of children. Yeah, it’s a Debbie Downer, but an excellent book no less. The club agreed that our next book would not be so depressing. Debbie must have read We The Animals too… my sentiments, exactly, Debbie. What should we read next? Now taking recommendations!! Merci, mes amis!! Hope you have a wonderful week!! This entry was posted in etc, l'humour and tagged books by rebeccawenstrup. Bookmark the permalink.